Microsoft looks like it's keeping a careful watch on the first wave of third-party Windows RT tablets, allowing only manufacturers that it's given the green light to permission to produce devices. 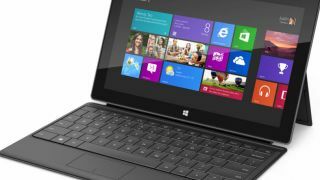 We already know that the Microsoft Surface tablet will be sporting a Windows RT version, but that's not the only tablet, based on the new Windows 8 OS, which will grace us with its presence this year. The China Times reports that Microsoft allowed the three major ARM chip makers; Nvidia, Texas Instruments and Qualcomm, to select just two manufacturers each to build their first Windows RT tablets. According to the report Nvidia has plumped for Lenovo and Asus, while Texas Instruments currently has just Toshiba on its side. Initially it's claimed that Qualcomm selected Samsung and HP, although HP has now pulled out of the Windows RT tablet game, and it's thought that Dell is attempting to take its place. Tablets from all these manufacturers are expected to land alongside the Surface, possibly on the October 26 Windows 8 release date, so keep your eyes peeled for a tsunami of Windows slates coming soon. Those who have been left out in the cold by Microsoft first time around will get a chance to peddle their Windows RT wares next year, which means we could well be in for another deluge of tablets at CES and MWC 2013.